Pattern for the wheel: one shuttle. I promise: it's not an aunt's recipe! 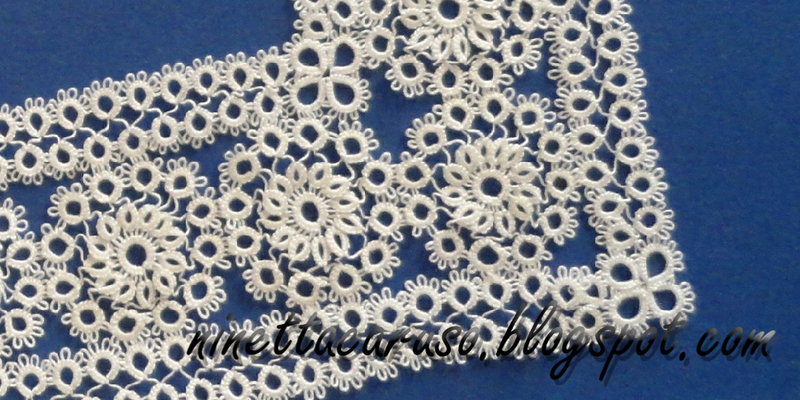 - last large ring: 4+2-2-2-2-2+4, joining the last picot of previous large ring and the first picot of the first large ring. The tail left at the beginning, it must be hidden inside the last large ring, with a magic loop trick or whatever you want. 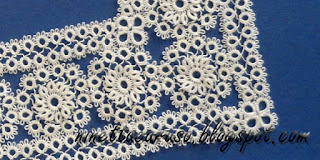 I use this method: http://sharonstattedlace.blogspot.it/2008/11/adding-in-new-thread.html. 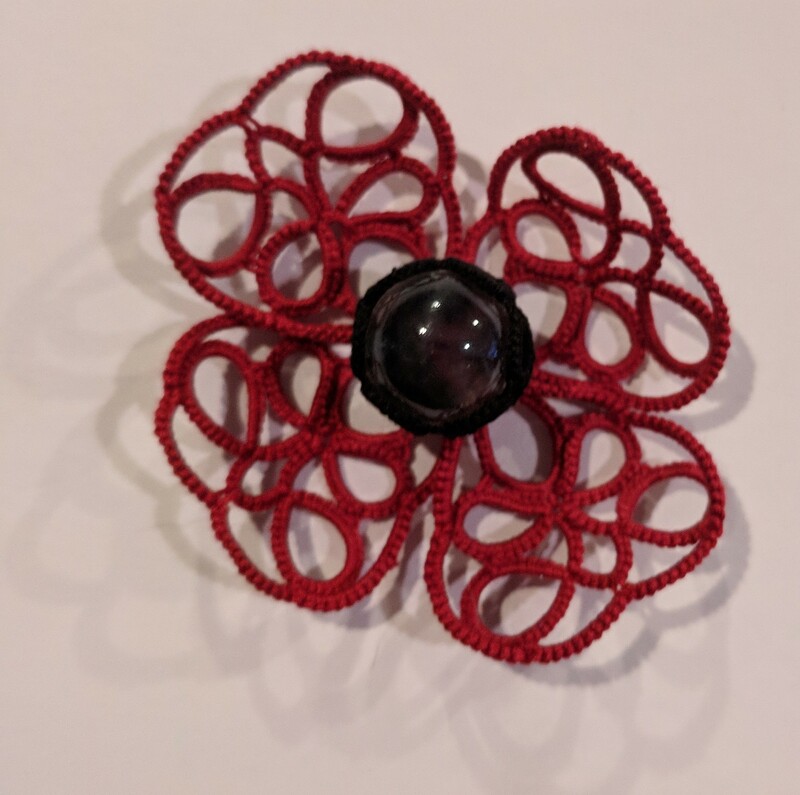 That bare thread is part of the pattern. Actually, now I'm having troubles with half-wheels in the last round! I'm afraid I have to tat them all apart, with a lot of tails. I'll keep you updated! Thanks Ninetta for showing how it's done. I look forward to seeing how you solve the problem of the half wheels. I can't wait to see the whole thing, I wore your beautiful earrings all this weekend and everyone asked about them :) I love your tatting and so perfect in person!